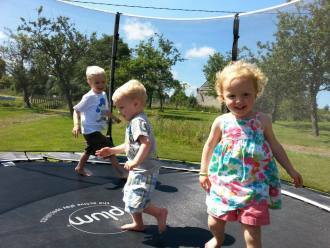 Hill Crest is a child-friendly holiday farmhouse in a great location close to ports, lake side beach and lovely towns. 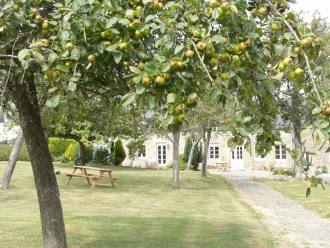 It is set in beautiful Calvados countryside close to the market town of Vire and has stunning views. 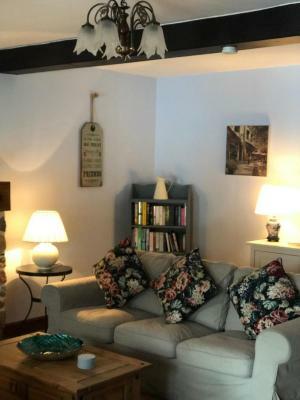 The farmhouse has been renovated to a high standard and is really flexible in terms of accommodation, making it ideal for two families sharing or inviting the grandparents. The lovely owners (who live in the grounds) are more than willing to provide you with anything you need for a comfortable stay and have an extensive list of baby and toddler items to borrow. 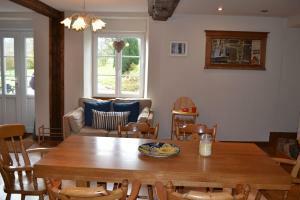 Inside the farmhouse there is a playroom which is sure to be a hit with the little ones and adults as it is situated next to the kitchen. This means you can still enjoy some adult company after dinner whilst the kids are entertained. It’s obviously great too if the weather isn’t at its best. There are activity boxes for the children, books, games and arts and crafts materials, plus a TV/DVD player so you won’t have to load up the car with toys either. 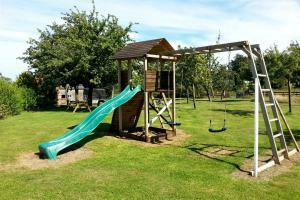 Outside, the children will enjoy the 3 acres of grounds with small plunge pool (open June – Sept), play areas, trampoline and climbing frame. 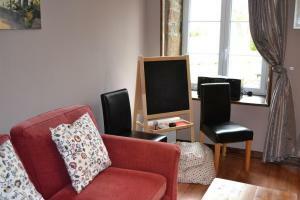 Adults will love the scenic views and being five minutes away from the local village to collect your morning baguette. 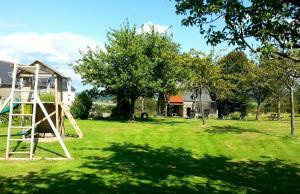 This is a lovely property to relax and enjoy your surroundings whilst the kids have great fun. 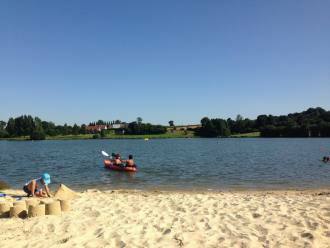 If you fancy exploring the local area then just a short 10 minute drive will take you to a lake-side beach where you can swim, kayak or windsurf. 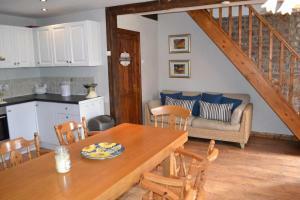 The owners have a selection of bikes available as there are many cycle paths and footpaths right on the doorstep. The market town of Vire, host to shops, museums, morning markets and an aqua park is only ten minutes away. Further afield the nearest beaches can be found in less than an hour as well as lots of tourist attractions to visit, please our Tots Top 10 for some great ideas. 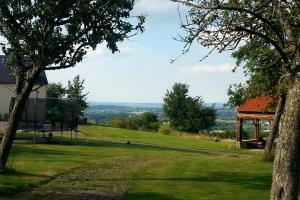 Hill Crest has also received fabulous five star reviews on TripAdvisor. 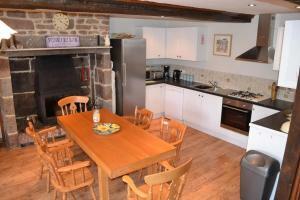 Downstairs there is a lounge with wood burner and a very spacious kitchen/diner, this is fully equipped with everything you need for your stay including a washing machine along with a downstairs toilet. Just off the kitchen is the playroom. Upstairs there are five bedrooms. 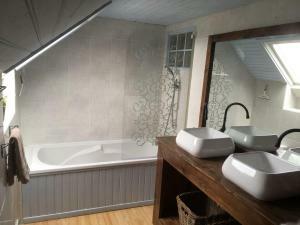 One staircase leads to a self-contained king bedroom with en-suite shower room and WC. (Perfect for grandparents or for two families to share) A second staircase leads from the kitchen/diner to the family bathroom, 2 double rooms, and 2 twin rooms. To book, we require a non-refundable £200 deposit which will secure your stay. The balance of your holiday is due 8 weeks before the start of your holiday. Within 8 weeks of the start of your holiday we regret the full payment is not refundable at all unless we can relet the property during that time when a small admin charge will apply. We also require a £200 security deposit to be paid prior to arrival which is refundable within 7 days of your leaving subject to no damages, breakages, extra cleaning charges. 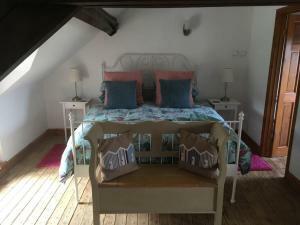 5 bedrooms sleep 10 plus cot. 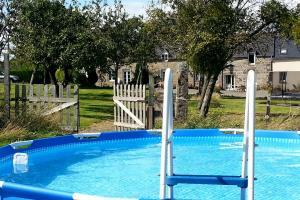 The farmhouse is 5 miles South of the market town of Vire. Lake Dathee - 10 minutes drive away is the beautiful Lake Dathee with its safe sandy beach and 7km cycle track. You can take a picnic and hire a sailing boat or pedalo or you can borrow the owners kayaks and windsurfer (which they will transport for you) to use. Jurques Zoo - This is a lovely family zoo where the children are encouraged to interact with the animals, 35 minutes drive away. Enchanted Village - 15 minutes drive away at Bellefontaine, this outdoor attraction is suitable for all the family with soft play, bouncy castles, play equipment and animals for toddlers and tree climbing trails and zip wires for older children and adults. Aqua Vire and Bowling - Leisure Centre and Indoor Swimming Pool 15 minutes drive away at Vire with childrens’ pools and flumes. Opposite you will find an indoor bowling centre. Souleuvre Viaduct - Always a firm family favourite! 1km luge ride, tree climbing adventure trail, play area, picnic field and restaurant, all whilst watching the bungee jumpers (or take part – adults only!) 35 minutes drive away at Beny Bocage. Trout Fishing - 10 minutes walk away – 3 lakes, one for children with nets, guaranteed a catch! Clecy - 40 minutes drive away in the beautiful Suisse Normande, Clecy is home to the Miniature Railway Museum with inflatable play area. Further along on the river are boats/canoes/pedaloes for hire and plenty of restaurants, rock climbing and a 650 metre family luge ride. Sourdeval - 10 minutes drive away you will find the typical French market town of Sourdeval with its range of shops and restaurants and pretty park with childrens’ play area. For the more energetic, why not cycle there along the Voie Verte, a disused railway line. Velorails - Cycle in specially adapted cars seating 4 people along a disused railway line and enjoy a picnic at the end. Situated 40 minutes drive away. 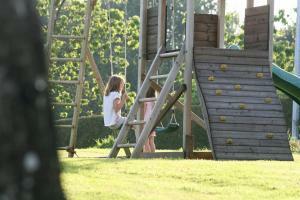 Festyland - Adventure Park just under an hour’s drive away on the outskirts of Caen suitable for all the family.